Here’s today’s holiday image. (See below for yesterday’s from illustrator Shadra Strickland.) This comes from illustrator Kelly Light, who single-handedly created the blog Ripple this year to raise money for the oil-drenched Gulf. Image copyright © 2010 by Kelly Light. Reproduced by permission of the illustrator. 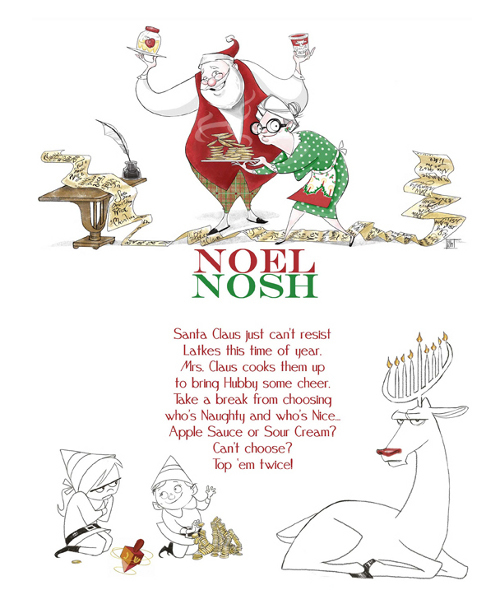 Cute illustration;the reindeer sporting the menorah and the curls of steam rising over Santa’s vest — so very nice.